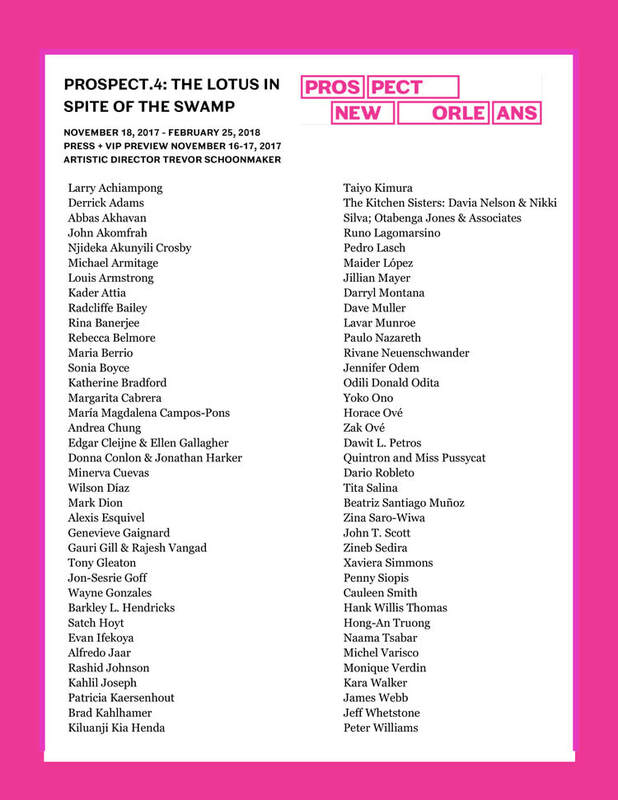 As part of its mission to support the local artist community of New Orleans, Prospect New Orleans implemented a Satellite Program for each triennial edition. The aim of the Satellite program is to highlight and promote concurrent exhibitions and arts events organized by local artists during the Opening Weekend Events and throughout the course of the Triennial. Catalyst Collective will present two Pop Up exhibitions as part of the P.4 Satellite Program. Please stay tuned for additional details!